Japanese Academy of Maxillofacial Prosthetics(JAMP) was established in 1984 to improve the research and clinical treatment of maxillofacial prosthetics in Japan. Our society has about 600 members. There are 300 prosthodontists, 200 oral surgeons, 50 dental technicians, dental hygienist, speech therapist, and others. Also we have the system of specialist for maxillofacial prosthetics and 141 accredited specialists have been certificated now. 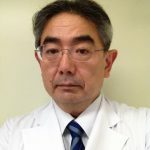 The president of society (2014-2016) is Prof. Shin-ichi Masumi (Kyushu Dental University). The number of Directors is 20, Auditors 2 and Councilors 84. The directors of society meet 2 times a year to plan and undertake the general action programs. There are10 committees (Editorial, Nomenclature, Scientific, Internationa liaison, Medical service, Publicity, Specialist, Juristic, By-law), 40 committee members and 3 secretaries. General meeting is held once in a year, where special lecture, symposium, educational lecture and ora presentations are performed. Official journal of JAMP, “Maxillofacial Prosthetics” is published two times annually under supervision by the Editorial Board of Japanese Academy of Maxillofacial Prosthetics. This is biggest group of this area in the world, JAMP becomes an Organizational Member of International Society for Maxillofacial Rehabilitation (ISMR) from 2008. 32th Annual meeting of JAMP will be held in Tokyo Medical Dental University (Tokyo). President is Prof. Hisashi Taniguchi.